23 year-old Canadian born electro-pop producer/artist Claire Boucher, aka Grimes, is taking the blogosphere by storm which means one thing, Cori Spelling has to see what the fuss is all about. After a sold-out performance at the Echo in Los Angeles and a overhyped after-party in an “undisclosed” location, Ms. Boucher took on the modest stage in Long Beach, Ca at the highly regarded Fingerprints Music. Don’t get me wrong, I really enjoy the tracks “Vanessa” and “Skin” on her just released LP Visions, but perhaps it was her lack of sleep, too much sun, or the continued technical difficulties but I left the performance feeling… well… meh. 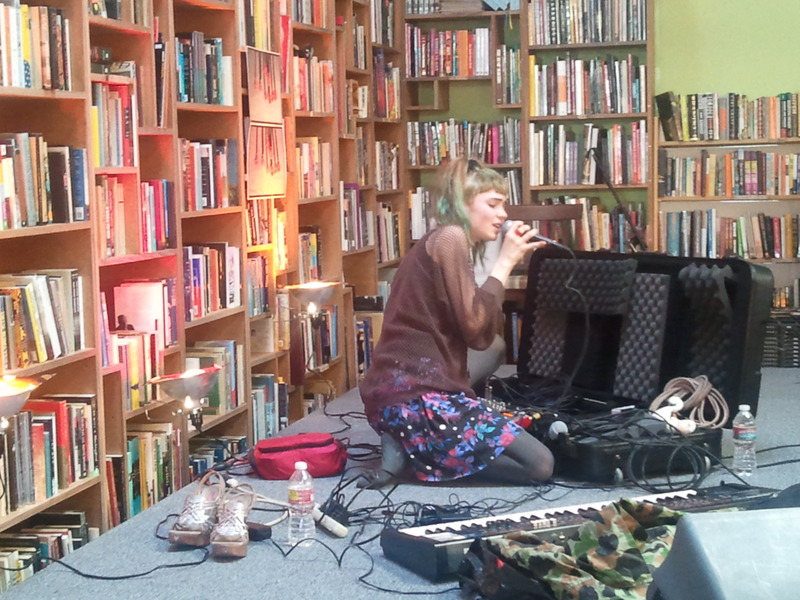 With the technical issues at hand the set started rough, Grimes kept requesting the sound to be “turned up” and giggling uncontrollably like a 12 year-old exclaiming “sorry guys!” All of her equipment was in a black suitcase (minus her keys) which led to a busker type element. Was that what she was going for or was it just easier to leave in the case? Never the less feasting my eyes on Boucher twisting and turning nobs straight of her suitcase was indeed intriguing. The audience, a mixed crowd of 20 and 30 somethings, male and female, were eating it up. The inevitable screams of “we love you Claire!” steamed up from each corner of the room. Mostly I was just left wondering if this would have been a whole lot better had Fingerprints turned the lights down low. Like real low. Perhaps with one glow stick to guide us through the musings of Grimes. 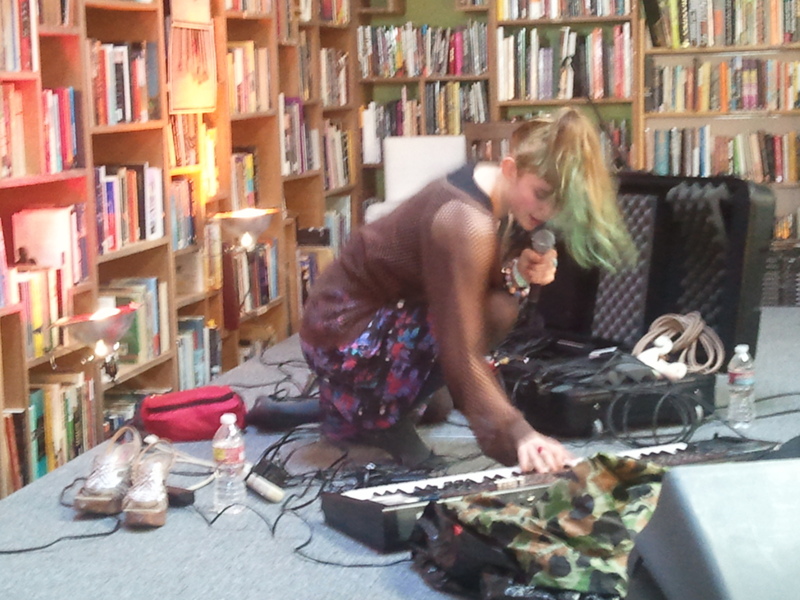 Claire Boucher is destined to be the 2012, and beyond, electro-darling. I can see the vast potential… perhaps more so within the twisting, turning, and manipulation of sounds. In the end Grimes is my prediction of the next big (or maybe first?! DJ Irene doesn’t count) female electro-producer taking the pop charts by storm. As she already pointed out in an interview with Pitchfork, Boucher wants to be a pop star. If that is what you want girl, you are going to get it, whether anyone likes it or not.